As summer ushers in longer days and warm temperatures, you might be called to join the kids splashing in the pool, head out of town for a long weekend, or duck out of work early on Friday for happy hour. But what about your runs? Just because it’s vacation season doesn’t mean taking a break from all the hard work you’ve put into your fitness. But even the most intrepid all-weather runners can be deterred when the mercury spikes during the summer. If you’re looking to avoid the dreadmill and get outside this summer, look no further. We talked to summer running experts from hotter-than-hot cities to find out how anyone can not just survive—but thrive—in the heat. Shorts and short-sleeved shirts aren’t just summer beachwear—they’re seasonal running essentials. Wear lightweight, breathable clothing to keep you from sweltering during your workouts. Avoid 100 percent cotton and instead, look for clothing made of microfiber polyester and cotton blends, and designed with vents or mesh. Iram J. Leon, President of the Austin Runners Club, knows a thing or two about running in the heat since he lives in the fourth hottest city in the U.S. He recommends shorts that have an inner layer or "just straight up compression to minimize the risk of chafing" as salty sweat introduces more opportunities for clothes to rub against each other. Don’t forget to wear a hat or visor to keep the sun off your face. Since you lose heat through your head, make sure your hat is breathable, too, and has those mesh vents. Sun protection is also vital. Look for sunscreen with an SPF of at least 30. Some runners opt for long-sleeve, UV-filtering shirts, but those should still be lightweight and allow airflow. Your feet need to breathe, too, so invest in lightweight, breathable socks and footwear. Avoid cotton because the material takes forever to dry and wet feet mean painful blisters. Foot powder can also help keep your feet dry and prevent blisters as sweaty feet rub against your shoes. "People are mostly concerned about hydrating during the run. This is a mistake!" says Joey Eida and Shirlei Kozak, President and Vice President, respectively, of Fired Up Athletic Force and the Fired Up Run Clubs, in Miami, Florida. In a city that set a record last year for days over 90 degrees (and don’t forget the humidity), you have to learn to adapt to running in the heat. As they observe, "Drinking through the day, every day, is imperative for all exercise fanatics. This will help every running during their training." They recommend two to three liters of pure alkaline water each day. (Alkaline water is thought to increase oxygen levels and improve energy.) To make sure you’re getting enough water throughout the day, considering scheduling times to drink or hitching them to a habit, like dropping your kids off at school or during your afternoon work break. People who aren’t properly hydrated can experience heat exhaustion, with symptoms like muscle cramps, fatigue, and headaches, but they are all easy to avoid as long as you make your water bottle your best friend. Higher temperatures mean you’ll likely sweat more than normal, so you’ll also need to drink more water than usual, too. Some people opt to carry water with them, either in handheld bottles or on water-bottle belts, making it easier to sip on the run. If you don’t want to carry water, plan your running route around places where water is available, like parks with drinking fountains or convenience stores. Just make sure you keep drinking. When you sweat, you’re not just losing water, you’re losing salt. That depletion can add up to feelings of nausea and vomiting, muscle cramps, and dizziness, which will not only ruin your run, but your whole day. To avoid those rather unpleasant side effects, find your favorite sports drink to replace vital electrolytes. As with water, plan to consume it before and during your workout. You may even want to carry sodium pills on your runs—see what works best for you. "Early morning runs are almost a necessity in the desert summer," says Jeremy Wallace, of the Las Vegas Runners Club. In Sin City, temps can top 100 degrees before 9 a.m. and can hover in the high 90s until late at night. “Although it’s a dry heat, you’d have to be crazy or a glutton for punishment to run mid-day,” he says. 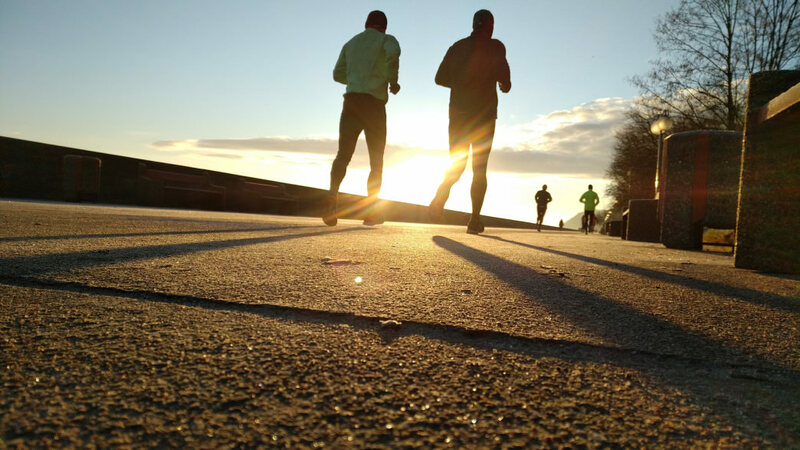 Even runners who aren’t getting outside in these punishing temperatures should think about adjusting their training to cooler times of day. 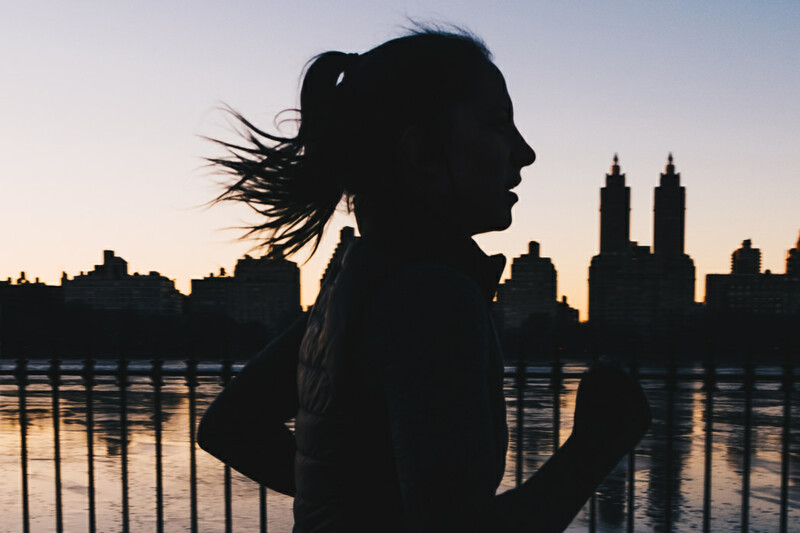 Yes, that may mean setting your alarm an hour earlier, or heading out after dinner, but running when it’s cooler will be worth it once you get out the door. 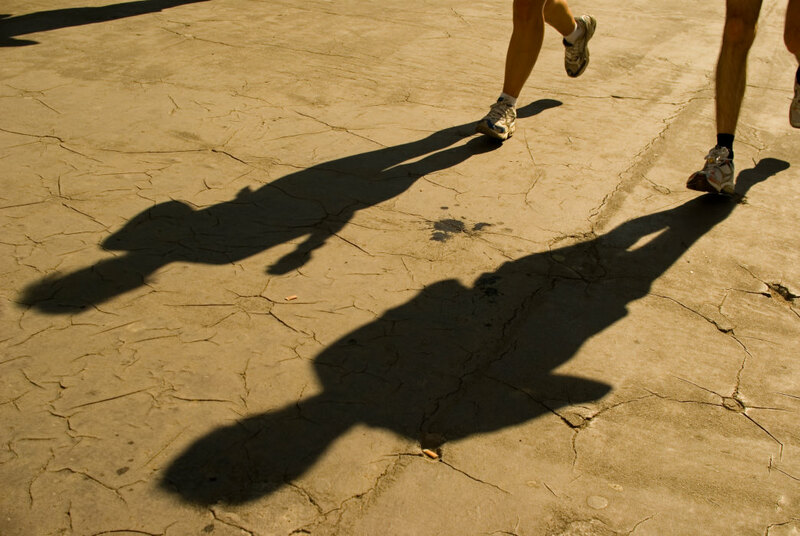 If you must workout during the day, opt for routes with shade and ample water. For every five degrees rise in temperature above 60 degrees Fahrenheit, you can expect your pace to slow by as much as 30 seconds per mile. Why? Because higher body temps mean you’re physically working harder, and heat also raises your perceived exertion level. It’s normal for your pace to suffer. Be understanding with yourself. Allow yourself to adjust to the higher temperatures of the season. Your pace will recover—and so will you!